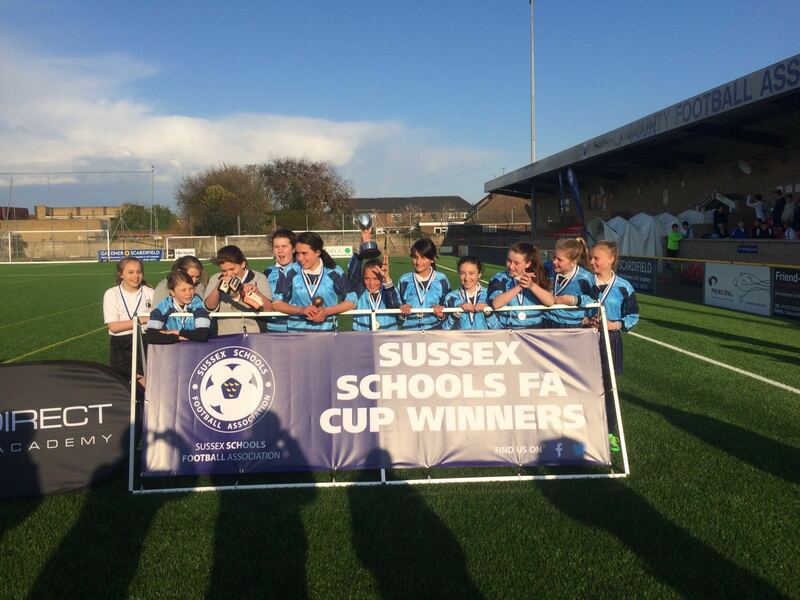 Wednesday 27th of April saw our first County Cup Finals held at Culver Road, Lancing the home of Sussex County FA. First up we had the Under 12 girls play out a goal fest of a final with Oakmeeds triumphing 3-2 on the night against Dorothy Stringer. Oakmeeds went 1-0 up through Alisha Mainwaring only for Dorothy Stringer to pull one back through Lacey Fowler. Lacey then grabbed her second of the night to make it 2-1 Dorothy Stringer only for Alisha Mainwaring to score twice making it 3-2 and Alisha securing her hat trick and the match ball. A great game to watch for the neutral with Alisha also picking up the Player of the Match award. Up next was the turn of the Under 12 boys with William Parker playing against Durrington High. A good final was always on the cards after some excellent results from both schools in previous rounds. William Parker took the lead courtesy of a well worked goal with Ben Ward providing the finish to make it 1-0. This remained the scoreline until half time. The second half got underway and William Parker doubled their lead through a great finish from outside of the box courtesy of Nathan Corke. Zach Ball managed to get Durrington back in the game making it 2-1 however it was not to be enough for Durrington as the full time whistle goes. William Parker winning 2-1 with Ben Ward winning the Player of the Match award. Thank you to Pro Direct Soccer Academy for sponsoring the night their support is appreciated. Click on the link below for their website. A reminder that both games are available to buy in HD with full commentary from the link below courtesy of Football Exclusives. 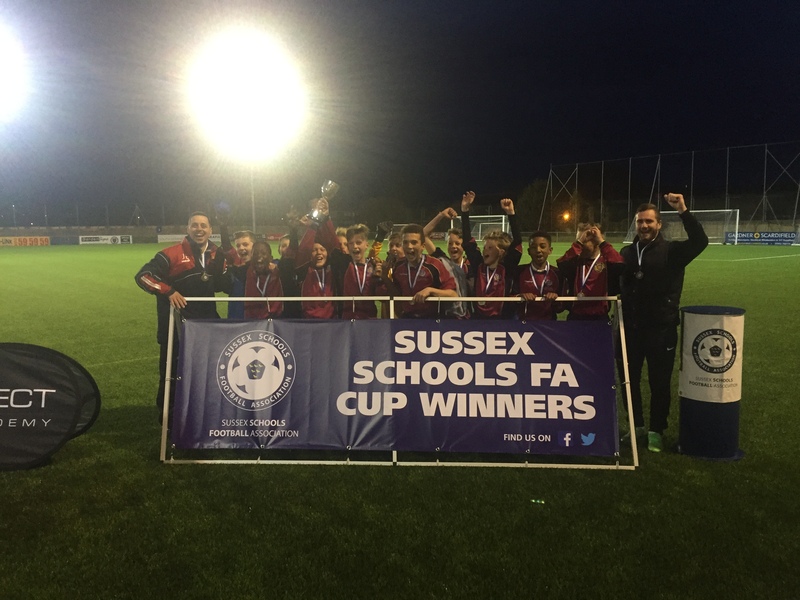 And lastly a thank you to all the staff involved with schools, the staff at SSFA and the staff at Lancing for making it a great night and hosting us.